Puppies! What could be cuter than a roly-poly bundle of fluff? Puppies! What could be cuter than a roly-poly bundle of fluff who wants to be loved? When you bring a puppy home, you start with a blank slate. You are responsible for turning that cute ball of fluff into a well-mannered dog. 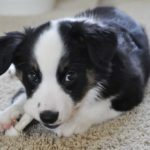 Use DogsBestLife.com’s Puppy 101 guide, to get your puppy started on the right paw. 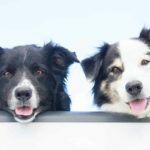 Puppy-proof your home: Puppies are notoriously curious, adventurous and sometimes downright mischievous, so it’s crucial to prepare. 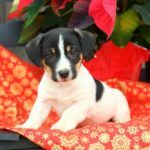 Puppy-proof your house to make it safe for your puppy. 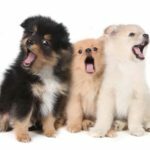 Start puppy socialization immediately: Puppy socialization helps dogs learn to respond positively to problems and challenges by demonstrating appropriate behavior. 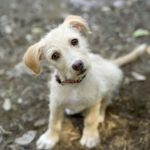 Understand your puppy’s growth timeline: By knowing what to expect at different ages and stages, you can be prepared as the owner to plan for training and socialization activities. 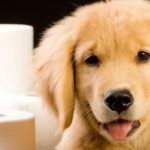 Puppy potty training: Start puppy potty training techniques early. Old thinking suggested owners wait until the dog was 12 weeks old. New thinking recommends starting sooner. 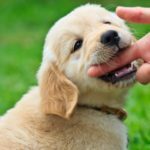 Stop puppy biting: Work with your dog and use four simple tips to eliminate puppy biting: discipline, distraction, firm commands, and no rough play. 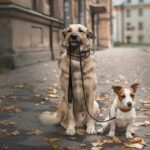 Train your puppy to walk on a leash: Keep puppy walks short and fun. Be patient. Take the time and make an effort now, and you will never dread walking your dog. 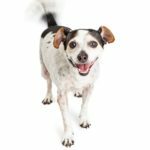 Stop puppy jumping: Break your puppy’s jumping habit with the sit-stay command. 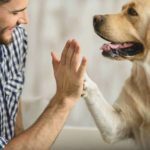 Use positive reinforcement training to get good canine behavior. Aggressive puppy warnings: Never excuse or ignore the behavior of an aggressive puppy! Without help, there is little doubt an aggressive puppy will become a dangerous dog! 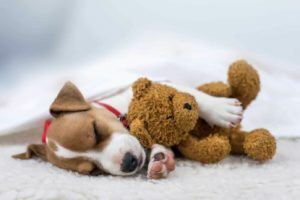 Start puppy potty training techniques early. Old thinking suggested owners wait until the dog was 12 weeks old. New thinking recommends starting sooner. Keep dangerous decor out of reach for dogs, cats and little ones. 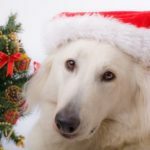 If possible, avoid using any harmful plants and instead decorate with dog-friendly plants. 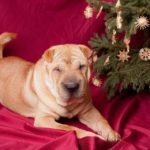 Puppy Christmas decorating dangers include trees, poinsettias, wreaths and more. Puppies will chew on ornaments, eat tinsel and gnaw on power cords. For puppy potty training success, set a routine, read your dog’s cues, give him lots of opportunities and consider crate training. Getting their puppy teeth can be as painful for puppies as the process is for human babies. Unlike babies who cry, puppies ease their discomfort by chewing. Work with your dog and use four simple tips to eliminate puppy biting: discipline, distraction, firm commands and no rough play. 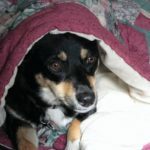 Mutts are the only real dogs as far as many dog owners are concerned and for them the more breeds in the mix, the better.